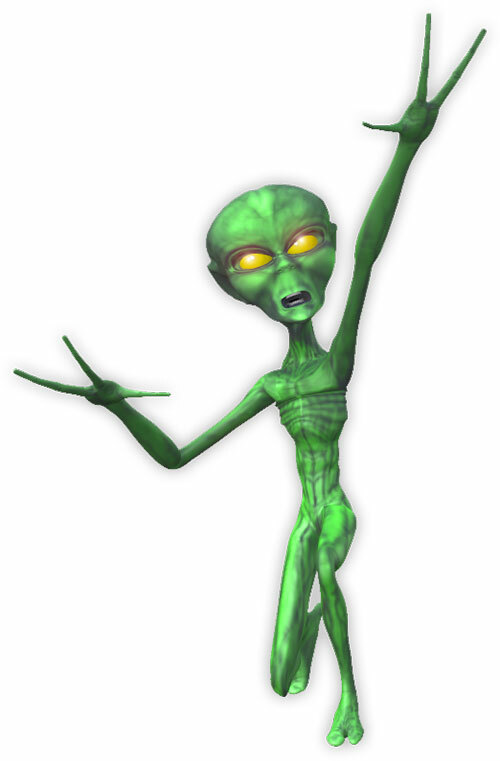 You may use our space alien animations on your personal and educational web pages. This page includes a variety of animated walking aliens, waving aliens and one or two that just seem to be confused. A red alien casually walking. This alien animation was designed for light and white pages. A laid back red alien out for a stroll. 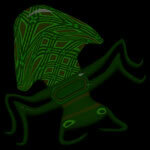 This space alien was created for dark and black backgrounds. 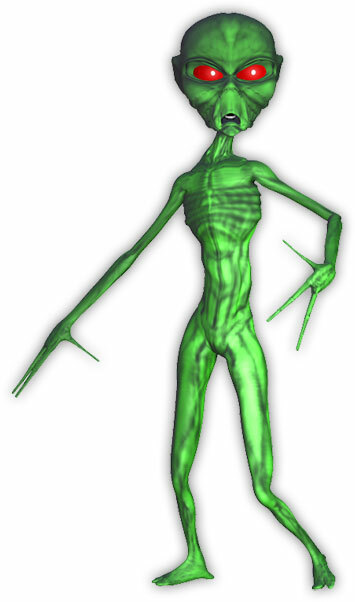 Green alien with a long flexible neck and bright red eyes. Martian finds the rover. He's not sure what to do with this new contraption. Well, it looked like food. The latest space alien weight loss program. Graphic created for light and white pages. A well dressed green alien. Space Shuttle lifting off animated. Shuttle graphic has a white background. 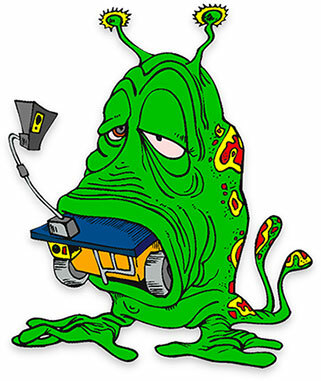 Large green alien with yellow eyes. Animated purple alien waving goodbye. This blue eyed alien is designed for light and white backgrounds. Purple space alien waving hello. This animation is designed for black and dark colored pages. Space shuttle lifting off clipart.